Register Now and reserve your guaranteed spot on a Guided Trail Ride. Driver Tickets start at just $50 and include Camping, Dinner, Educational Courses, and a ton of fun for the whole family! 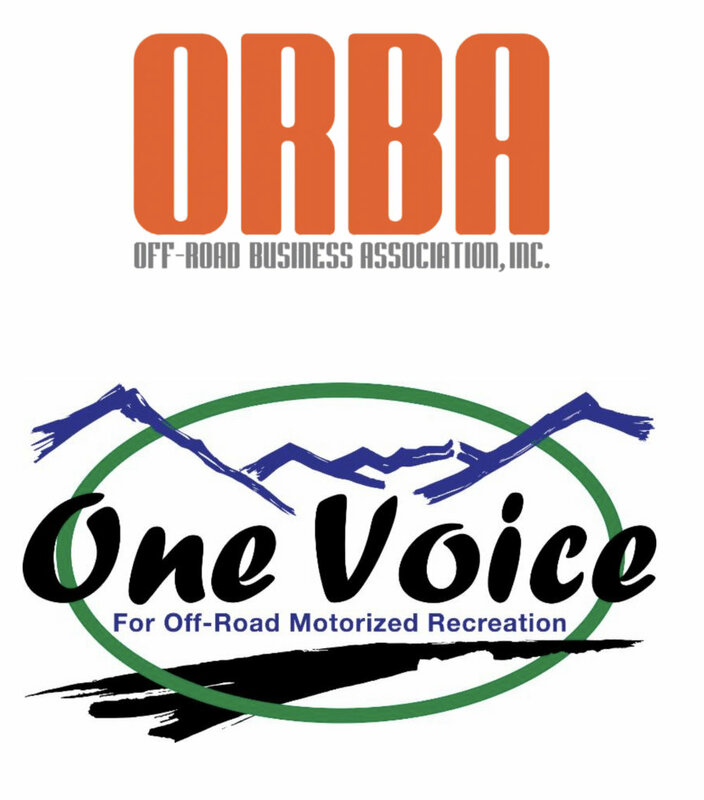 SFWDA, ORBA and OneVoice are excited to see this important OHV legislation finally signed into law. This bill took nearly a decade of hard work and dedication that will congressionally protect motorized recreation in California. On March 12th, President Donald Trump signed into law S. 47, the Conservation, Management, and Recreation Act, which overwhelmingly passed in the Senate and House last month. Rep. Paul Cook (R- Apple Valley) attended the signing ceremony at the White House earlier this afternoon. The Conservation, Management, and Recreation Act is a package of bipartisan public lands-related bills that passed the House or Senate in the previous Congress. 2018 has been a great year for Southern Four Wheel Drive! Our Associaions Membership continues to grow, now with more active individual Members, and supporting Business than we have ever before. Not to mention the Premium Members who all agree it’s great to give a little more to get a little more, and as a SFWDA Premium Membership you cant go wrong. This past year we also witnessed changes to a few local OHV parks. While one private park may have closed, overall the future is very bright for OHV enthusiasts in the Southeast. For example there’s a public 1,300 plus acres OHV trail project known as Southern Gulf Off Road In Coalmont, TN already underway now with funds from the federal funded, state administered grant program know as RTP or the Recreational Trails Program. We at SFWDA are also very excited to announce we have secured our Dixie Run and Trailfest venues and dates now for 2019, and they’re going to be AWESOME! Speaking of events, we have several amazing Meet & Rides planned again through the seasons as well as a return to Daniel Boone Back Country Byway in the fall for the fourth year in a row. Through the success of our very own SFWDA Grants program we have already awarded over $76,634 in 2018 to a variety of very deserving recipients. This Grant program has been a huge success for us overall and has been instrumental in the funding of a variety of projects and free educational courses. Grand total $150,239 as an organization over the last three years. To learn more please visit our Grants web page today. As technology continues to advance we will continue to strive forward along with it by providing our members convenient access to whats most important like current events, education topics and best practices, educational videos, and even streaming web meetings so that everyone can stay involved no matter where you live. After a productive Annual SFWDA Meeting on December 1st in Tennessee we have some proud new Board Members to acknowledge. We have a great team appointed for 2019-2020, but we can always use more help from volunteers like yourself. Let’s rock forward through 2019! We are honored and grateful to be a part of your holiday traditions. Southern Four Wheel Drive exists and thrives because of responsible and passionate off road enthusiasts like yourself. For over 30 years now our family has dedicated themselves towards a common goal and the core mission of our Association; Conservation, Education, and of course Recreation. The country’s most uncrowded state is making big investments in growing its recreation economy. Wyoming wants more people to know that it is a place for outdoor lovers. Yet, while driving through America’s least-populated state, for long stretches of miles, the only sign of human existence is the occasional oil rig affixed to a rolling expanse of greenery and rocky hills. Extraction has historically fueled the Cowboy State’s economy and remains its No. 1 industry, but outdoor recreation—its No. 2 industry—is proving a viable and far-more sustainable source of income than the famously boom-and-bust-prone oil-and-gas enterprise. Thus, Wyoming has begun to invest in outdoor recreation more than ever before. “ Outdoor recreation already accounts for $5.6 billion in annual consumer spending in Wyoming, as well $1.6 billion in wages for 50,000 jobs—a considerable number when you consider that Wyoming’s entire population comes in at under 600,000 and that the extraction industries only account for about 27,000 jobs. Nearly 50 percent of Wyoming is comprised of public land. With iconic natural destinations such as Yellowstone National Park and the Grand Tetons, it’s not surprising that outdoor recreation is indeed one of the state’s key economic drivers.